“Trendy Memo, which is formerly MemOh Box, was created to make your workspace your happy place”! 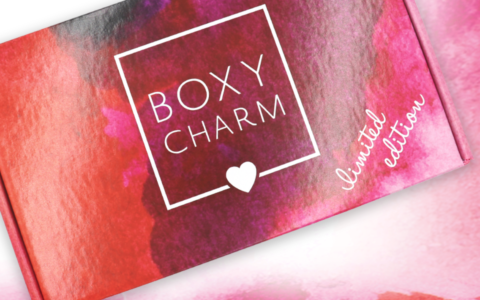 Their subscription box service is geared for trendy business women, hip students or those that work from home. The Products: 4-6 products in the monthly box and 5-7 products in the quarterly box. Products range from “cute office supplies, unique desk accessories, beauty products, yummy & healthy snacks, helpful nutritional information and much more”. Good to know: Trendy Memo also has a shop where you can purchase miscellaneous items and order their limited edition boxes. New to Trendy Memo is their monthly pen option found here. Enclosed is the monthly info card with the box contents and their description with Trendy Memo’s hashtags and website address and on the back of the info card is “My Monthly Memo” a to-do list, and top goals & priorities checklist. This vegan leather pencil case with a gold zipper holds my pens and pencils; it also is small enough to hold miscellaneous office items as well. The vegan leather pencil case has an elastic band that can fit over Russel + Hazel’s mini three-ring binders. I received their mini three-ring binder in my April Box. I didn’t realize that the pencil case is intended for the mini binder, I thought it paired with the notebook, now I know to attach it to my mini binder. Here I strapped the pencil pouch to the notebook enclosed in this month’s box. Here’s a look at the front and back of the pencil pouch on the notebook. I have received this type of product before, and the chargers never work, maybe they aren’t intended for an iPhone. The tassel keychain has a USB and phone charger, but I’m not sure if it’s for an iPhone since it didn’t work on my phone. These natural wood incenses are said to be used for centuries to purify and cleanse your space. I lit the end of the stick, and the aroma reminded me of a campfire. It burned rather quickly, and it didn’t burn like typical incense sticks. I believe this is just for cleansing and purifying my rooms and not to be used as a typical incense stick. This gold metal wire utility cup has a magnetic backing that’s good on any magnetic surfaces or magnetic dry erase boards. The utility cup fits my pens, pencils, and scissors. This faux leather journal has 120 lined pages and gold snap closure. The Verdict: Trendy Memo has a boxed value of $51.99. Their monthly value fluctuates monthly for some months it’s around $40-$50+. So, keep that in mind if you decide to subscribe. This month’s box was a win for me, the majority of items were new to me which is always nice. My favorites were the utility cup, the pencil case, and the wood incenses. This subscription does deliver on sending 5-6 items per month, and the products are suited for my office, they often include beauty, fashion and lifestyle items. Each has their unique style as to how they decide to adorn their desk, and this subscription can assist in the creative process. Monthly boxes ship between the 1st and 7th of the month. What do you think of the September Trendy Memo box?